This page will include variety of information to help Qld gardeners find plants that may possess at least some drought resistance. In particular, it will attempt to present a greater variety than the relatively small number of plants (a large proportion of which are strappy/spikey foliage plants) that are receiving a lot of pubicity at present. NB: There's more about low-water use gardens (general design, gardening practices etc) here: Water saving gardens. The links on that page may contain additional information on drought tolerant plants. First, it's important to remember that all plants need some water, at least occasionally. What plants you classify as drought tolerant will depend on what you call a "drought", and what you regard as "tolerant". If you're used to rain every day, one dry week might be called a drought. In other locations, weeks or months without rain might be normal. In coastal Queensland, heavy rainfall episodes with plentiful supplemental water out of the tap were once considered "normal". Unfortunately, the current climatic and water infrastructure situation now makes it unfeasible to grow many types of plants that would be possible in decades past. Meanwhile, "tolerance" may mean growing and flourishing under consistently dry conditions to some gardeners, while others may be satisfied with a plant surviving dry periods somehow until until better conditions arrive. Furthermore, other environmental factors will affect performance for a given amount of watering. These might include exposure to wind, soil type, plant nutrition, intensity and duration of sun exposure, and other stress factors. Modification of the microclimate (shading, windbreaks, soil conditioners etc) may assist survival under a given irrigation regime. For the purposes of this page, the focus will be on plants that can survive and look reasonably good through extended dry spells in tropical and subtropical regions with little or no supplemental watering. Such plants should tolerate high summer temperatures combined with humidity, high light intensity, and little or no frost in winter. It should also be remembered that even quite drought tolerant plants will require watering at planting time, and perhaps for some time afterwards. The availablilty of water should therefore be taken into consideration if planting up new gardens during drought. Gold Coast City Council has announced that its free trees will only be available during the early months of the year when highest rainfall is expected (see: Free Tree Scheme to Green the City). Plants which have not been hardened off in advance or which have a poorly developed root system may be particularly susceptible to wilting. Selection and handling of material prior to planting may therefore also have some effect on the amount of water needed during establishment. Many drought-tolerant plants are intolerant of waterlogging. When we eventually do receive an extended period of heavy tropical rain, sensitive species may be lost. So, ironically, good drainage is still a consideration even when planting in drought, especially for your most valuable specimens. If you visit the desert section of the Brisbane Botanic Gardens at Mt Coot-tha, you'll see that it's in a raised area. The landscaping also shows off the plants effectively. The same principles apply to plants grown in pots. Overwatering and/or poor drainage is bad for most land plants, but plants naturally adapted to dry conditions are likely to be most sensitive. Roses are very forgiving plants, tolerating harsh dry times as well as the rainy periods that will eventually return. Depending on soil type, once a week watering is usually preferable. In dry times roses can survive on minimal water, however, you can't expect the usual habit of flowering each 6-8 weeks. Mulching is essential for water retention and insulating the ground. Water crystals can work wonders but with many different types on the market, select wisely. Potted roses can be planted at any time of year. Prune lightly after each flowering and a major winter prune in late July to early August. Roses work very hard, so they need to be fed. Make sure your roses have at least 5 hrs of sun per day. Attractive gardens are not the exclusive domain of ornamental plants. Herb plants intermingled with ornamentals can create a very unique and useful garden. Perception of herbs as a group are often limited to those plants of herbaceous nature, that is, plants with no woody tissue. A broader description would be a plant that has medicinal, culinary or industrial uses. Many are attractive specimens in their own right. Drought conditions do not adversely affect most herbs, rather it is the watering habits acquired from tending soft, ornamental plants that are too much for these resilient and hardy plants. Herb plants are usually killed by over-watering. Below are a few suggestions for herbs to add to your garden. Selected plants are not only tolerant of dry conditions but also do well with regular rainfall. Please note that actual "drought tolerance" will depend on many factors (see above). In the list below, some species or cultivars may be more drought resistant than others within each group, so further reseach may be helpful. The real test, however, is how they perform in your garden. Obviously, you'll have to take other factors such as mature size into consideration when selecting a plant for a particular spot. Many (but not all) Australian natives are well adapted to dry conditions. A few natives have been included in the list below, but if you want to develop a native garden there are many more species to choose from. Investigate further using books, local associations, specialists nurseries etc. Why not start your journey here: The Australian Native Plant Pages? The links below will take you to other pages on this site for more information and, in some cases, specialist nurseries. The list has been divided into two broad groups to assist with garden design, but you can mix and match to suit your own taste and landscaping needs. For plants like Bougainvillea and Hibiscus, hot flower colours (reds, oranges, hot pinks etc) are especially tropical-looking, while the whites and pastels might be integrated into a more traditional, "pretty" style of garden. Published lists of suggested plants may be a starting point, but there are undoubtedly many other drought-hardy plants, including Australian natives, which might be suitable for garden use. If you'd like greater variety, or if you just like to experiment, how can you identify plants that might have drought resistance and/or a rountine low water requirement from the many available for sale on the retail market? Origin - What is the natural habitat of the species? In the case of hybrids, of the parents? Many Australian natives are drought tolerant but more information would be helpful as the continent contains a diverse range of climates. Botanical names sometimes give a clue e.g. erem- refers to deserts. See also links on the following pages: African Style Gardens, Mediterranean Style, The Australian Native Plant Pages, which may contain information on plants from dry regions (although some species referred to may not be commercially available in Qld). Observation, experience - What plants perform well in your neighborhood during dry spells, especially in neglected gardens, traffic islands, nature strips etc? What do your friends find easy to grow? Even within a single species of plant, superficially similar varieties may differ in drought tolerence (some adaptations may operate at the microscopic or biochemical level). Taxonomy - Certain plant families, such as the Euphorbiaceae (Euphorbia and others) and the Apocynaceae (Plumeria, Oleander, Adenium, and others), tend to to have many drought-tolerant members. While not proof of drought tolerence, the relationship to known drought-tolerant species may be an indicator that a plant is worth further consideration. Any plant which is drought tolerant and has an effective method of dispersal could become a weed. It's even possible that some species recommended on lists of drought tolerant plants you encounter on the internet or in books could now be banned in your region. Check with local authorities for current status if in doubt. Meanwhile, keep an eye on the behaviour of plants in your garden and, of course, never dump any plants in the bush. Invasiveness of a different sort is that of roots. A vigorous root system might help a plant survive drought but spell trouble for pipes or house foundations. As with any planting near structures, exercse caution and do some research first. (See also Trees - general issues). Keeping other plants alive in nearby gardens may also be made more difficult due to the competitivenes of vigorous growers. Yet such species may be useful in extreme situations where little else will survive, provided it's safe to plant them. In extreme drought, even hardy plants will eventually succumb. To maintain gardens or simply save a valuable tree, a mobile watering service may be worth paying for until better conditions arive. What about artificial plants, the ultimate in drought tolerance? These are usually made for indoor conditions, but might be worth investigating for a special occasion such as a garden wedding. Consult with your supplier regarding the suitability of any artifical plant for outdoor use. Artificial plants can be purchased or hired. Another option for special occasions may be the short-term hire of live plants. Again, consult with the supplier first regarding placement, as many hire plants are intended for indoor use only. There's more about low-water use gardens (general design, gardening practices etc) here: Water saving gardens. The links on that page may contain additional information on drought tolerant plants. 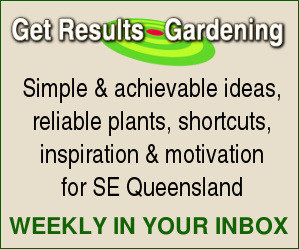 Gardening in Hughenden Society for Growing Australian Plants Queensland Region, Inc. 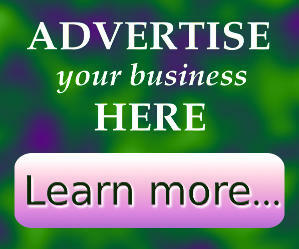 There are also some links about lawns here: Lawn and Turf supplies. If you're interested on the effects of water and heat stress on plants, check Trees - general issues and Weather & Climate in Qld. Pages dealing with individual plants (Site Search) might have more information on particular species.